A new author for me, intrigued, I delved into this book with vigour. Being ex-military myself, an instant affinity to some of the terminology used in the storyline was quickly formed. Tom has an incredible mind for detail as the circumstances in which we find the lead character, Phil McKensie, begin to assemble his select team of special operatives. The story begins with a bang, and certainly ends with one too. Throughout, the level of detail and description has the ability not only to put the reader right there in the desert of Kentobi, but similarly in the darkly lit streets of Glasgow and the surrounding areas. It touches on the criminal underworld that the average law-abiding citizen wouldn’t know exists. From the drugs trade, to forced prostitution, every angle is covered, checked and covered again with great precision. At times, there are so many characters on the go that it made me sit back in awe at Tom’s ability to keep them all in line. Each character has a well-defined personality and each contributes to the success of each “mission” and the ability to grip the reader as relationships, desires and fantasies occur. Tom successfully managed to completely fool me as to who the mystery operative known as “Chameleon” might be, right up to the very end, which is a fantastic twist to the tale. I loved that fact that each stage eventually had an ending, so many writers have little or no finality, with or without a sequel. As a reader, I want to know what happened to the characters, even after the story has ended. I have to admire that part. The story has some explosive elements to it that will keep you gripped to the next planning stage and execution. The characters are believable, the camaraderie between the forces elements is very real and in some parts, memorable. For anyone who has never served, it is indescribable yet Tom manages to pull it off really well. I found this book to get better as it went along, it pulls you in from the beginning but the more you read, the harder it becomes to set down and at times, I found myself reading well into the wee small hours. I based my star rating on the content of the story, the descriptive narration, plots, character definition and dialogue and how the book made me feel both in reading and at completion. In summary, a book well-worth reading and money well spent. 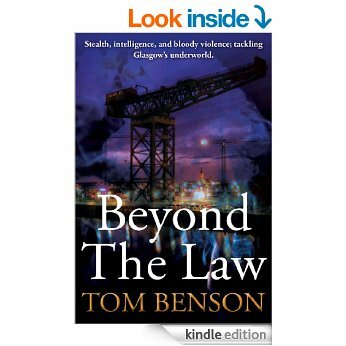 I am aware that Tom Benson has other books and you can be sure that I’ll be checking them out in due course, positive that another story will be found worth reading from this author. Well done Tom!